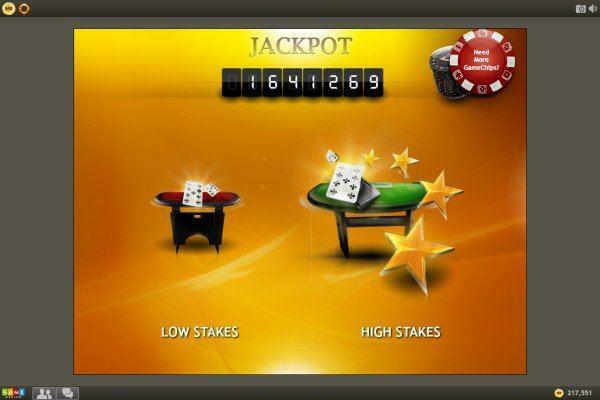 Online Blackjack by GameDesire - Try to hit 21! Play online and win! The players task is to get the value of the initial two-card hand dealt to be closer than the dealer's hand to, or equaling exactly, twenty-one by being dealt additional cards if necessary. Each player plays their hand against the dealer, independently of the other players at the table. The game is played with 2 full decks of cards and its name comes from a hand consisting of the Jack and Ace of spades. This game is intended for use by adult audience for amusement purposes only. Blackjack does not offer real money gambling, opportunity to win real money or anything of value. Practice or success at social gaming does not imply future success at real money gambling. Whether dealer strategy or basic, choose the one that suits you best and break the bank! Black Jack, or 21, is a very simple card game. It is based on drawing cards until their total value is closest to 21. It is important to remember the rule about 22 or higher – which means defeat. Black Jack is the casino version of 21. The top combination is of course Black Jack, an ace and a ten or court card, which pays out 150% of the stake. Known throughout the world, the game was brought from Europe to America in the late 19th century, and quickly began to take the most popular casinos by storm. 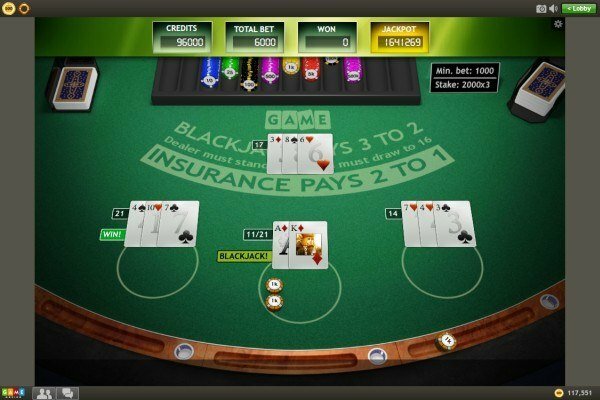 It was soon realised that this was not a game based on chance, and black jack quickly became known as one of the “beatable games” – those in which the player has a realistic or even a good chance of outplaying the casino. 1. The players place their chips on the table in order to bet. 2. The players and dealer receive two cards – two face up for each player and one face up, one face down for the dealer. 3. The player may make one of several moves – draw (hit), double the stake (doubling down – only possible at the start), stick (stand), split (divide the cards – for example when they have two eights and decide on a side bet (insurance) when the dealer’s card is an ace). Insurance allows a player to place an additional bet, on the assumption that the dealer’s face down card is a court card or a ten. 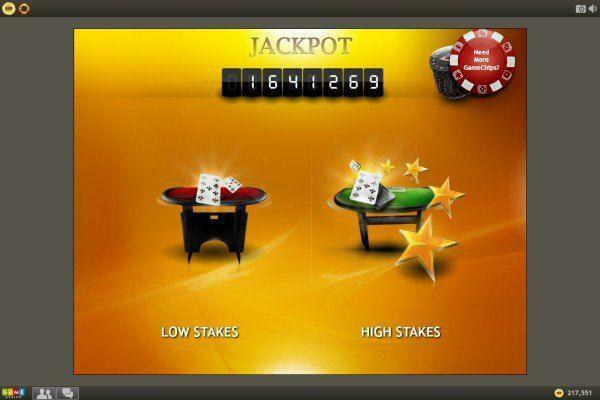 If they are correct, the player wins the insurance – half the basic stake. 4. If a player has more than 21 points after drawing, they lose and the dealer takes their chips. If the player has 21 or less, the dealer shows their face down card. If they have 16 or less, they draw, 17 or more they stick. The winner is whoever’s cards total closest to 21. In the event of a tie, chips are returned to the players. Many say that mathematics is the absolute king of the sciences, and its laws certainly govern games of black jack. Real mathematicians are well aware that the casino always has an advantage of a few percentage points advantage over the player. The degree of this advantage depends largely on the ability and strategy of the player. The most popular strategies are known as the “dealer strategies”, or “never bust”. The first is based on never drawing on 17 or more, while on the other hand the second relies on never drawing on 11. Black Jack is the most popular game after roulette and poker in casinos around the world – in Las Vegas, Atlantic City, and now online. But also try some other card games – thousand or Hold ‘em Live Pro 2017 – to find the best one for you. Right now you can visit the largest online casino and play black jack online and other free card games online without even leaving your home. Maybe today is your lucky day, when your strategy will bring you winnings. Try now – register at GameDesire, play your favourite games, and meet people from all over the world!